In MilitaryByOwner’s latest ebook, For Sale by Owner: Answers to Your Most Frequently Asked Questions, one of the suggestions to help correctly price your home for sale is to hire a professional appraiser. 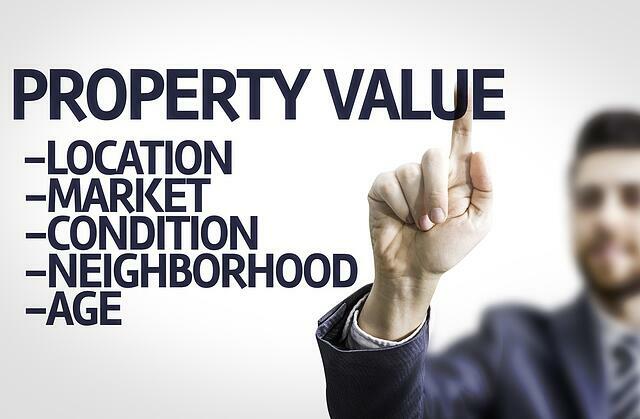 Investing in the appraisal will likely save time and money during the For Sale By Owner home selling process. If you haven’t hired an appraiser before, these suggestions will add confidence to your search. One caveat when hiring an appraiser for your home sale: As the home seller, keep in mind that the lender most likely will not accept a seller's appraisal and will require another one with the buyer. So while an appraisal can help justify your home sale price, it cannot be used as a part of the contract unless a lender is not being used. Researching candidates before hiring avoids the potential for contracting an appraiser lacking education or experience, which leads to miscommunication and mistrust. An unskilled appraiser will ultimately leave the owner with an unsatisfactory appraisal report. An appraiser’s reputation for fairness and an unbiased evaluation will precede him, so start locally and ask friends and neighbors already in the area. Their experiences will guide you both to and from certain appraisers. If you're unable to find a reputable appraiser word of mouth, the following two resources are useful places to start. The best professionals work and live near your address, know the intimate details of the neighborhood, and have access to the MLS system. Less expensive appraisers may be available, but use caution. If they come from too far away, their local knowledge will be limited. Name, contact numbers, license or certification number, and list of further designations are a good starting point. There is a difference between licensed and certified. Licensed refers to the least amount of appraisal education the state requires, while certified professionals have the most authorization allowed by an individual state. These designations denote the amount of additional specialized instruction the individual has beyond the minimum requirements needed. Appraisers use the term “geographic competency” to refer to the nuanced information of the market they’re hired to work in. An appraiser’s thorough understanding of the local market is a key consideration for hire. How long have you been appraising full time, and have you been disciplined? Experts suggest at least 5 years’ experience for typical appraisals and at least 10 for intricate appraisals needed for properties with a lot of acreage, waterfront, or very out of the norm homes. An explanation of the discipline would be appropriate to ask for. Appraisers are cited for multiple reasons, including engaging in cost cutting and low quality appraisals. There are several factors that determine the fee for residential property appraisal, which makes the range for fees vary widely. At the very low end, expect to see fees at about $350 up to near $1,000 for complex research. As you can see, it’s well worth the effort to research an appraiser capable of assessing your house accurately. In the end, appraisers with the best education for your particular area with plenty of experience will likely be the best candidates. 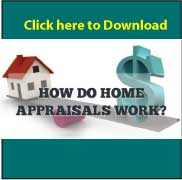 Have questions about the appraisal process? See Appraisals, Assessments, & Home Valuation Tools: What's the Difference? to learn more! A For Sale By Owner is attainable! For further information, MilitaryByOwner has two ebooks about FSBOs in addition to numerous blog posts and resource articles to guide home sellers through the process.